You are here: Home / Healthy Living / Your Children’s Life Expectancy Is Now Less Than Yours! Your Children’s Life Expectancy Is Now Less Than Yours! 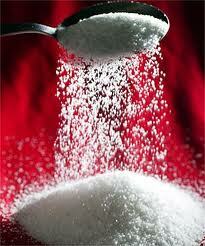 Sugar is hidden in almost all processed foods – from bologna to pretzels to Worchestershire sauce to cheese spread. It is heaped into soft drinks, fruit juices, sports drinks, and now most infant formula has the sugar equivalent of one can of soda pop, so babies are being metabolically poisoned from day one if taking formula! …can cause hyperactivity, anxiety, difficulty concentrating, and crankiness in children. …can produce a rise in triglycerides. …lowers defenses against infectious diseases. …leads to cancer of the ovaries. …increases fasting levels of glucose. …can increase blood acidity levels. Do your kids (and yourselves!) a favor. Begin by reducing the amount of processed foods & sugar you consume.